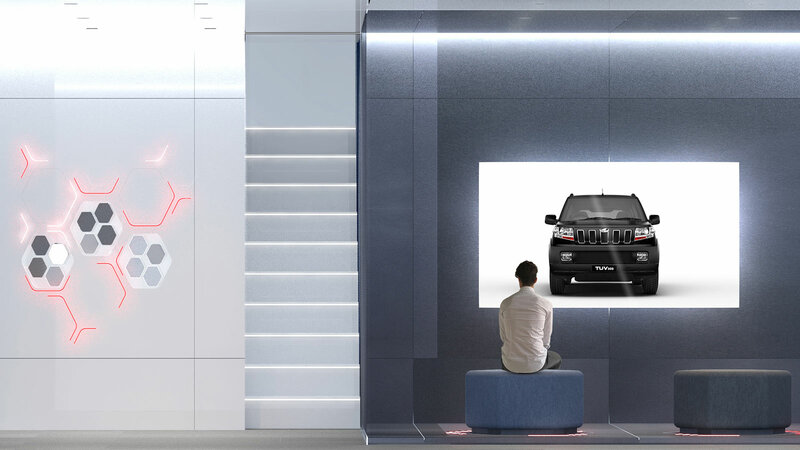 On the occasion of Auto Expo in New Delhi, Mahindra and Pininfarina present a new concept: the Dealership of Future. A new format conceived to intensely rethink the customer experience thanks to the new digital technologies. 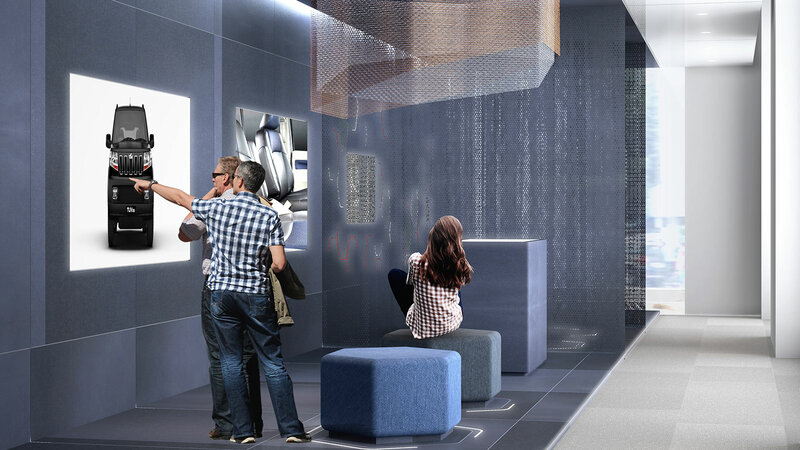 The Dealership of Future relies on digital as a primary mean to deliver immersive visual car experiences and product guidance. With digital tools, the visual experience can be near limitless, and independent from the displayed vehicles. 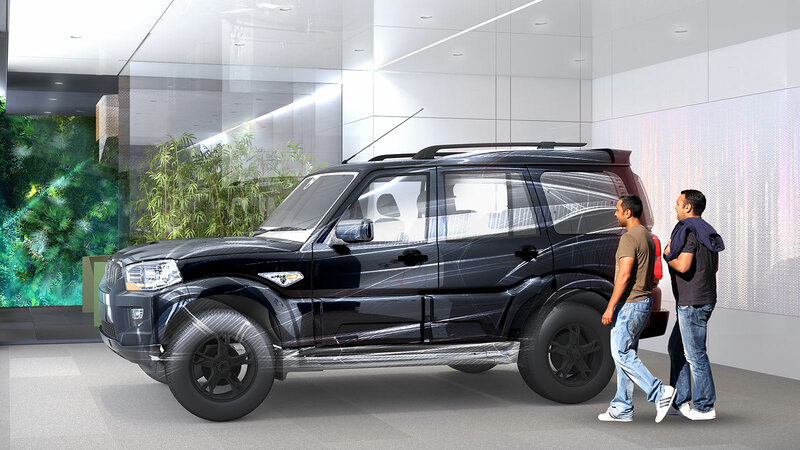 Tablet Assistant, Digital Lounge and Digital Transaction Zone – These tools will be at the heart of the showroom and will provide the customer a full visual experience of the products, let them configure their vehicle to their taste and complete steps required in concluding the transaction. The customer will have at his disposal a complete experience of product discovery, visual representation, guidance, product information, deal-making and transaction execution. 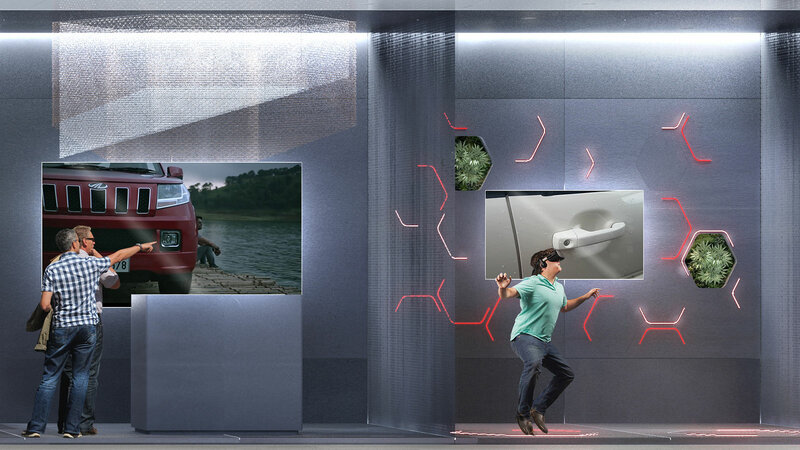 Virtual Reality Zone – This is an immersive experience powered by the HTC Vive system with motion sensors allowing the customer to experience the vehicle in a virtual environment and experience it like never before. Apart from the virtual car experience, customers can also access guidance and product information. 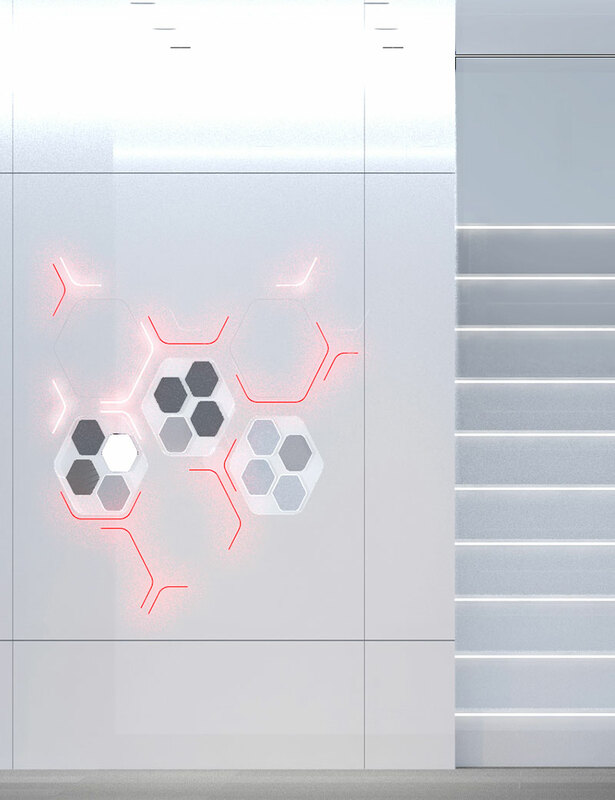 Multi-touch table with RFID object recognition – This is an intervention that facilitates comparison, product discovery and has advanced gamification elements that create a differentiated ‘Wow’ factor for our customers. 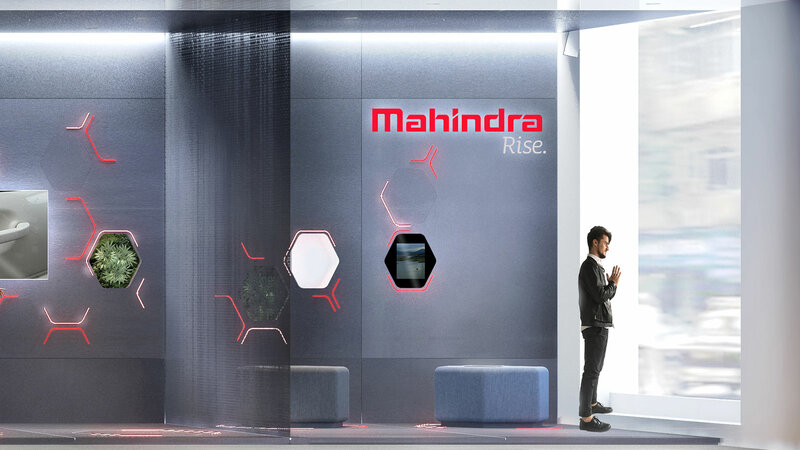 Mahindra, at the forefront of innovation and technology, chose Pininfarina’s 88 years of experience in envisioning the future to shape breakthrough brand and customer experience. 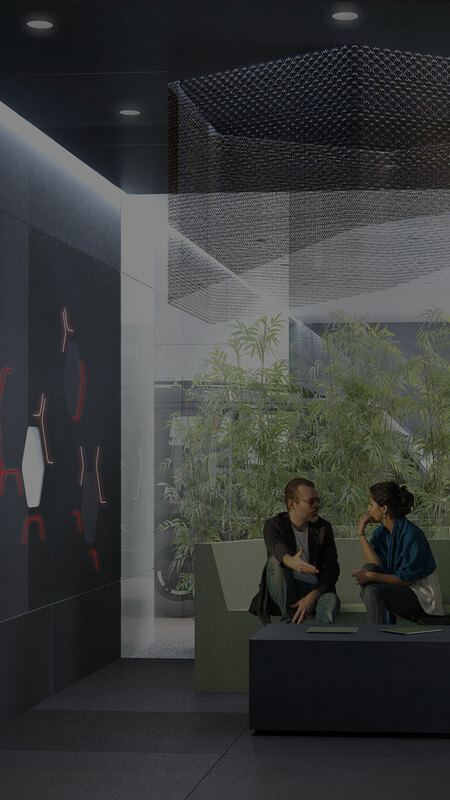 Experience is the keyword of the project: the creation of an immersive world in which the digital touchpoints are integrated with the tridimensional features of the environment and of the car. A journey designed to start before the first visit to the showroom and to continue aftersales in a consistent and seamless path. The Pininfarina Architecture team created a new visual identity to give shape to the new generation of dealerships. 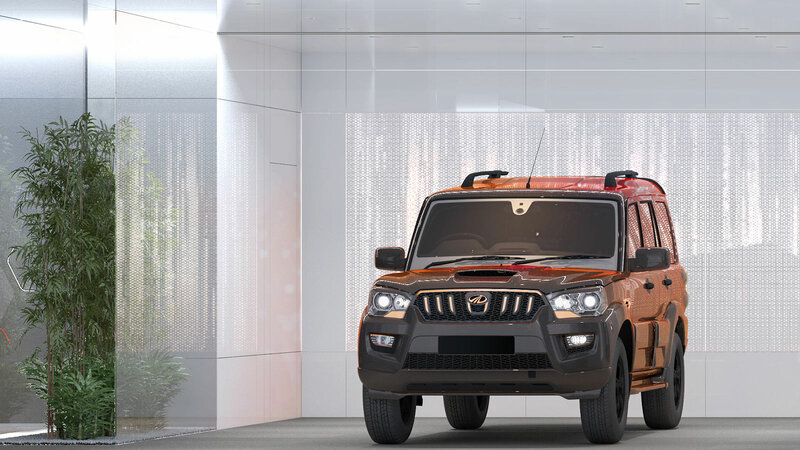 A language able to enhance Mahindra SUV brand values – adventure and premiumness – translating the brand into stylistic elements shaping the space. 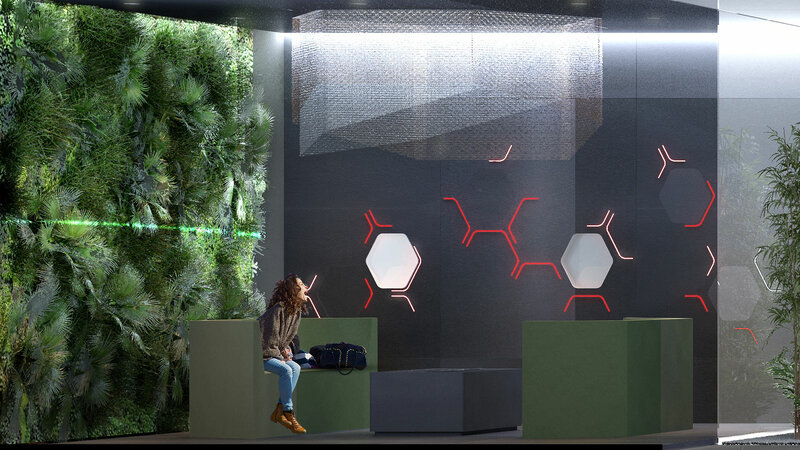 A new format that will be applied to all new retail format: Dealership of Future, able to strongly and consistently communicate the brand values in different contexts independent of the showroom space. 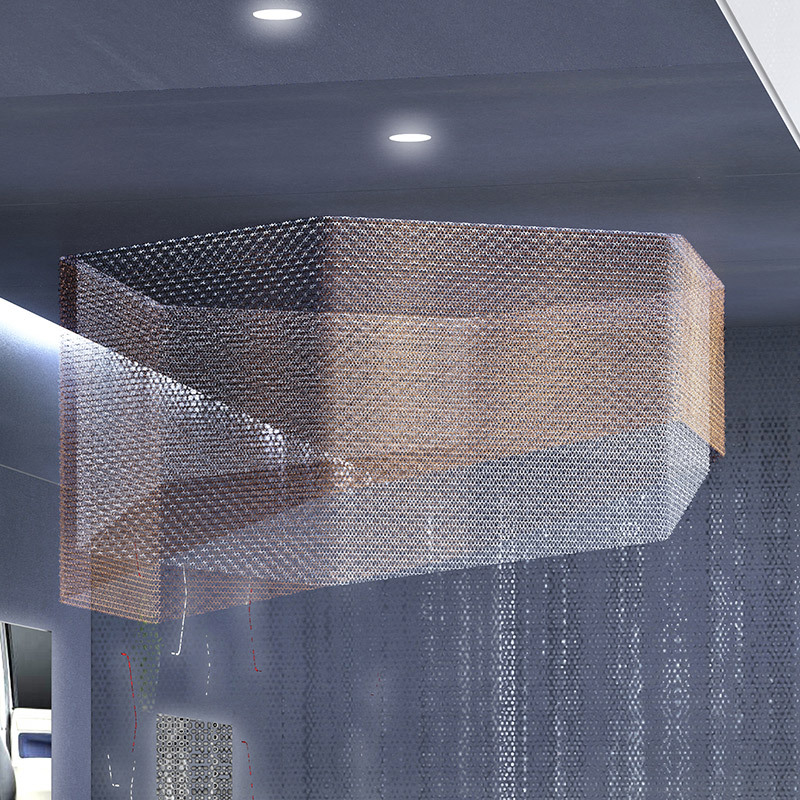 A language able to harmoniously merge the digital and physical, guiding smoothly the customer through the spaces of the showroom and through all the moments of the experience.